The Athletics Construction Roundup is a monthly series on construction of athletics facilities. Each month I’ll provide you with a list of athletic construction projects in progress (and recently completed) across the country, including details on budget and scope of the project. Notre Dame is replacing its football surface with a synthetic turf. Maintaining the natural surface at Notre Dame Stadium had been a struggle for many years. 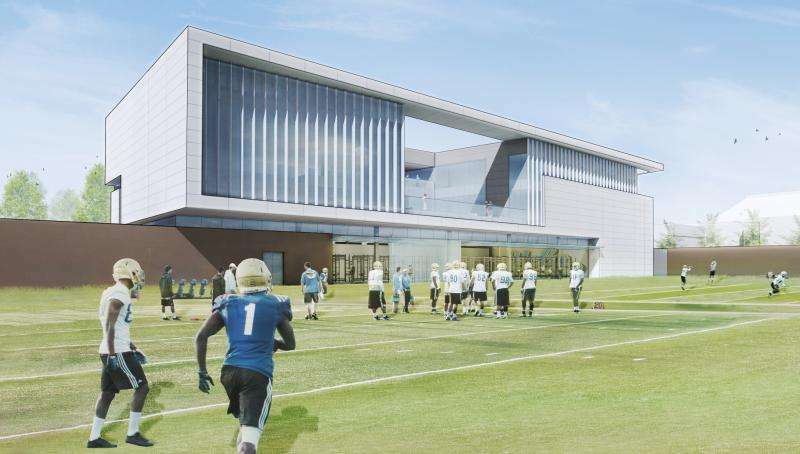 Renderings of UCLA’s previously announced Football Performance Center have been released. Purdue wants to take down Texas A&M by building the largest videoboard in college football. Last month, Louisiana-Monroe’s turf project began. The new surface was made possible by a previously announced $450,000 donation from JPS Aviation. 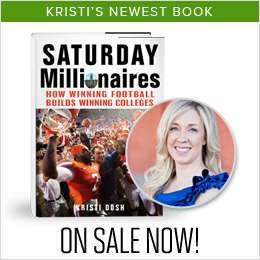 In a trend that is only going to grow, North Carolina is adding a Distributed Antennae System to improve cell service at Kenan Memorial Stadium. Iowa’s Kinnick Stadium and Carver-Hawkeye Arena will receive a similar system. This is a great look at the benefits to the community provided by a previously announced project at Colorado’s Folsom Field. Renderings of Texas A&M’s previously announced renovation of the Bright Football Complex have been released. Iowa State has also released renderings of its south endzone project at Jack Trice Stadium. Work has begun on Arizona State’s renovation of Sun Devil Stadium. The project will result in a reduced capacity of 60,000, down from 71,700. NC State’s Reynolds Coliseum, the home of women’s basketball, volleyball, and wrestling, will soon receive a $35 million renovation. Also included in the project is an athletics hall of fame. The previously announced renovation of Arizona’s McKale Arena has begun. Both the men’s and women’s Conference USA basketball tournaments are heading to Birmingham. Florida expects to begin work on an estimated $50 million renovation of the O’Connell Center after the 2014-2015 basketball season. The work will result in a reconfiguration that eliminates the building’s ability to host indoor track events. Ground has been broken on Utah’s Huntsman Basketball Center. The $36 million project should be completed in July of next year. That project caused some to ask if BYU is falling behind in the basketball arms race. WVU has unveiled a $106 million facilities plan. A majority of the work will focus on preventative maintenance. Here is a great update on the numerous projects currently underway at Middle Tennessee. Georgia State wants to transform the Turner Field area into a mixed used complex that would include housing, retail, and athletic spaces. Perhaps the most ambitious facet of the project involves transforming the current home of the Atlanta Braves into a 30,000 seat football stadium. Ground has been broken on Colorado’s previously announced $143 million master plan. Oakland has announced a 108,000 square foot indoor facility. The $4.9 million project will include space for baseball, softball, football, and soccer. A large videoboard project has announced by UTEP. The $3.4 million plan includes a new board for the Sun Bowl which will measure as the largest in Conference USA. Luke, I haven’t received a construction round up email since June. Are you not doing these anymore? They are really helpful and I would like to continue receiving them plus the ones I’ve missed since June if possible. Thanks. Art Hammerstrom, Design Display. 9/26/14.